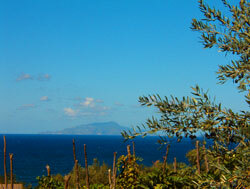 The Farm House "Agriturismo La Lobra" is located in the heart of Sorrento Peninsula at the distance of only little metres from the sea cape of Punta Campanella on the reach soil of that part of country. Being located on the same place for centuries is created a nice family tradition for hospitality. The Pollio Family has a long history of cultivating this land by growing a terraced gardens, where dominate olives, lemons and oranges trees descending along to the sea. 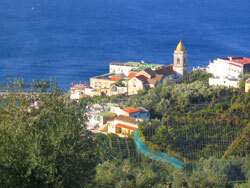 From the our House is possible to visit other tourist resorts: Sorrento, Capri, Amalfi Coast.